- From Interlaken West Station follow the main road (Bahnhofstrasse) through the roundabout at Centralplatz all the way to Interlaken East Station. Keep on going straight, following the signs to Bonigen and Iseltwald. - There is every hour the bus No. 103 traveling from either Interlaken West and East station to Iseltwald. The journey takes appr. 20 minutes. The bus is free for Swiss Pass holders. All other guests will receive a free pass at check-in! The last bus leaves Interlaken East Station at 08:05pm low season and 09.05pm high season. After that you can take a cab. We have a special deal with 'Bodeli Taxi' for our guests. Call 0800 22 00 88 or find the yellow cabs at Interlaken East Station. 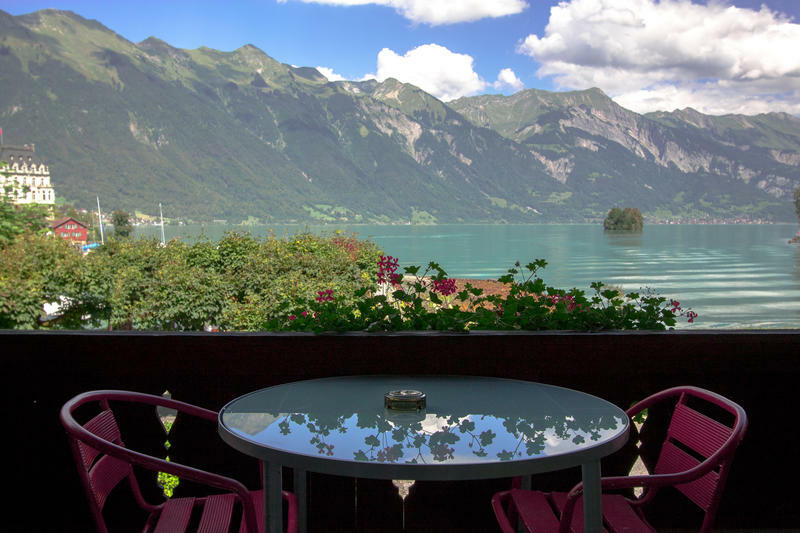 - There are frequent ferries from Interlaken East station to Iseltwald. Its a beautiful journey on the Lake and a great alternative to other public transport! The ferry is free for eurorailpass holders! Attention: The ferry does not operate in the winter! self check in for late arrivals!. Guests can cancel their reservation free of charge up to 3 days before arrival. Deposits paid are non refundable. Please note that you might have to change the room during your stay.